Families choose to homeschool for a variety of reasons. For some, it’s the flexibility to set an alternative daily schedule or classroom location. For others, home education means being able to address special needs with extra attention. Still others homeschool so they can teach their children in a manner consistent with their faith. When Christian families send their children to public schools, they often find that classroom lessons conflict with their beliefs. Homeschooling, on the other hand, gives parents control over the curriculum, allowing parents to teach their children about God, His word and His plan for our lives, keeping education consistent with personal and spiritual values. Homeschooling is a tremendous undertaking, and requires a great deal of commitment. In the beginning, parents have many things to consider. There are schedules to create, materials to design and lessons to plan. Many homeschoolers purchase curriculum with a Christian Worldview; others pull together their own lessons based on state or provincial requirements and supplement with faith-based materials. Whichever route or combination of routes you resolve to follow, it is important to think about the role you want your faith to play, before you begin. Is your goal simply to familiarize your child with bible stories or is it your heart’s desire to teach your children to live a Christ-centered life? Most likely, you will change your approach (and your curricula) many times throughout the years and if you’re anything like me, your children will do much of the teaching along the way. Christian children need to learn math skills to help them live independently, history facts that have shaped our world and literacy skills to be competitive in the job market. It will be the biblical world view though, learned through these lessons, which will give them hope for the future and a desire to glorify God’s name in everything they do. Though the specific lessons one parent teaches will be different from the next, there are some common themes in Christian home education. 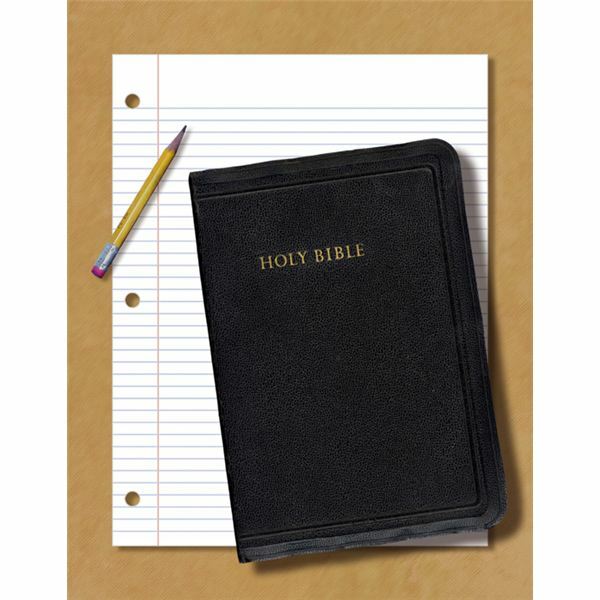 Christian homeschoolers often begin their day with family devotions or bible lessons. A quick Internet search can turn up a plethora of interesting, colorful, free resources from preschool through adulthood, and this is a great place to begin. Eventually however, you will want to dig deeper and incorporate biblical concepts throughout your child’s entire education. Sure, language arts worksheets are perfect to use for the religious clipart and scripture references that you have bookmarked, but let’s not stop there. In the early American education system students were taught to read and write using only the Bible as their text. While biblical instruction is much less rigid in today’s homeschool, Christian perspective still permeates literacy instruction; certainly, literacy activities today include bible study and devotional materials. Aside from exploring classics and delving into topics of personal interests, reading, writing and public speaking offer children many opportunities to think critically about their own personal beliefs as well as those of others. Admittedly, until recently I’ve focused on teaching math simply as a compulsory subject. Children need to learn to tell time, count money, and perform calculations every day. When you plan lessons with faith in mind though, math becomes so much more. Author and former homeschool student, Katherine Loop, states that “math’s very existence reminds us of God’s faithfulness". On her website, Math from a Christian Perspective (referenced below), parents find interesting resources and ideas for incorporating a Christian world view into mathematics instruction. Of course, humans created the symbols that describe the order and consistency at work in the natural world and put them down on paper, but without a Creator, how else would everything come together and work so well? Science and faith are often at odds with each other in the media but this doesn’t have to be the case in homeschool. Like math, many science concepts and lessons offer amazing opportunities to point to the rules, structure and reliability with which God created the world. Additionally, homeschooling allows Christian parents the flexibility to discuss scientific theories from a creationist angle, examining unproven elements that are usually presented as fact in the public school system. Answers in Genesis (referenced below) has a storehouse of resources, in a variety of formats, to help parents prepare children of all ages for the controversies they will encounter, such as the age of the earth and evolution versus creation of man, and give them the tools to defend their emerging biblical world view. When a family of faith home schools, a Christian perspective doesn’t mean that every lesson is Bible based or has a scripture at the top of the page. But at the end of it all, will your children have developed a passion for learning that includes the Bible? Will they be able to see a connection between the Bible and the way they live? Will their Christian ideals be evident in their daily lives and relationships with others? Will they be able to clearly see the fingerprint of God in their surroundings? Will they understand that they have sinned and Christ died for their salvation? If so, then you have given them hope for the future. That’s homeschooling from a Christian perspective. Image: Take Notes by ba1969, under Section 7. Swann, Joyce. "Science from a Christian Perspective"
Loop, Katherine. "Math from a Christian Perspective"